Oxford Health and Wellness Center is pleased to share with you the non-surgical solution for a Herniated Disc, Ruptured Disc, Bulging Disc, Compressed Disc, Sciatica, or a Pinched Nerve. 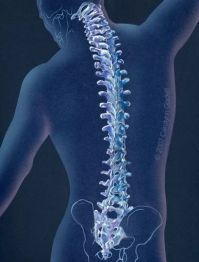 Spinal Decompression is a non-invasive, non-surgical, safe and effective method for the treatment of these conditions. 1.) 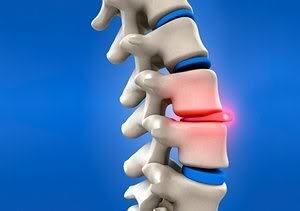 Research has proven discs may be a primary sire of back and leg pain, as well as neck and arm pain. 2.) Discs can be damaged by compression and flexion. 3.) The disc is avascular (has no direct blood supply). It receives nutrients and rids itself of waste products by diffusion (similar to a sponge). The healthier the disc, the greater its diffusion. 4.) Over time, loss of strength in the lower abdominal and lower back muscles, poor posture, trauma, etc... increases the compression on the discs, especially in the discs located in the lower back and mid-neck. 5.) Spinal Decompression Therapy stretches the spine in a safe, controlled and very specific manner to open the disc spaces. This decreases the pressure on the discs and allows an increase of blood flow to help reduce inflammation and heal the area. 6.) As with all therapy, you adherence to the treatment advice and protocols are vital to ensure the best possible outcome. Additionally, though Spinal Decompression Therapy can help many conditions, it is not a "cure" for everyone. Sometimes the disc damage cannot be fully healed due to the extent of the damage or the continuation of irritating activities.